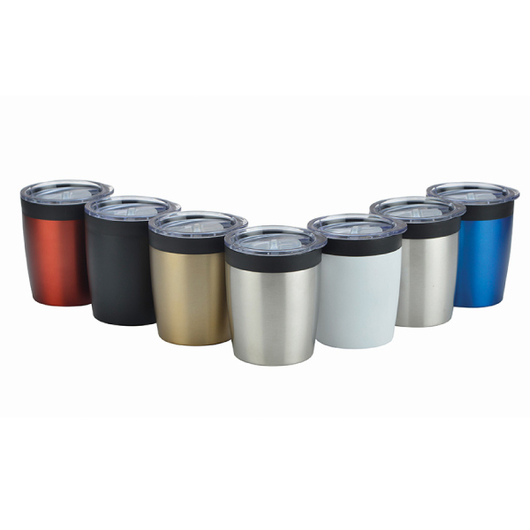 A trend metal coffee mug that you can use over and over again while on the go! What better way to enjoying your morning cuppa than with some of these quality made Eco coffee mugs. 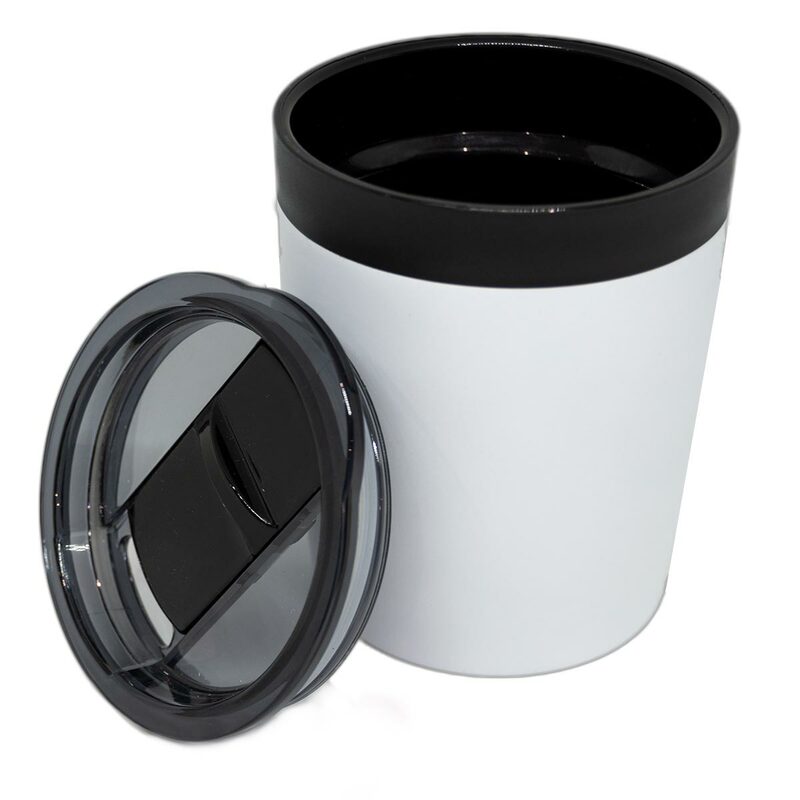 They feature a plastic push on lid with a soft EVA non-marking base and come in your choice of 7 different colours. They have a stainless steel outer and a plastic inside that is produced on an express service as standard, so we can get these to you fast!